The Collection has been arranged in Twelve Series: Correspondence, Receipts, Journals, Student Life, Notes, Lectures, Writings, Writings for Young Adults, Miscellaneous Writings, Prints, Printed Materials, and Photograph Albums. All Series are organized chronologically. 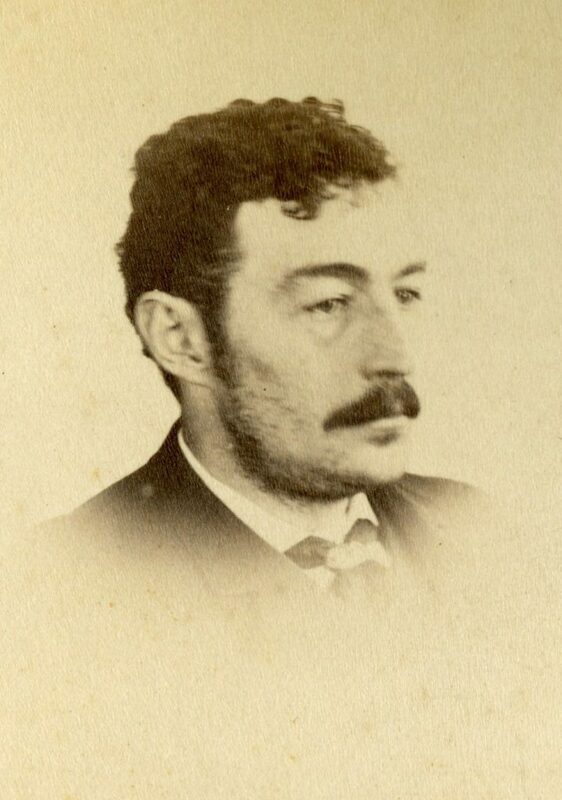 Upon his return to the United States, he was appointed professor of invertebrate zoology at the Academy of Natural Sciences (1883-1915), a position he also held at the University of Pennsylvania from 1884-1888. In addition, he also served as corresponding secretary at the Academy of Natural Sciences for eleven years starting in 1890. While with the Academy, Sharp participated in expeditions to the Caribbee Islands during the winter of 1888-1889 to collect specimens and take photographs, and to the Hawaiian Islands in 1893 to collect archaeological and zoological specimens. Sharp also participated in two Arctic expeditions. 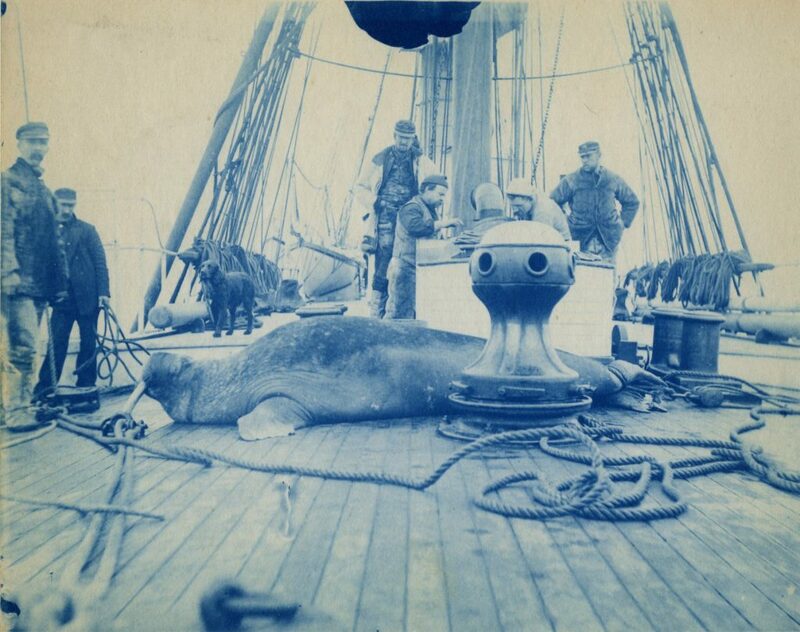 In 1891 he was in charge of zoology on Robert Peary’s first Arctic expedition, and in 1895 he traveled to Alaska, Siberia, and the Arctic in 1895 aboard the U.S. Revenue Cutter Bear to take pictures. Sharp lived most of his life in Philadelphia with his wife Virginia May Guild (they married in 1881), and their three children – Dorothy, Benjamin Karl, and Harold. He was a member of many of the city’s cultural and scientific organizations – including the American Philosophical Society (elected 1886), the Photographic Society of Philadelphia, and the Philadelphia Symphonic Society (predecessor of the Philadelphia Orchestra) where he played the oboe. Sharp was the subject of Thomas Eakins’ 1903 painting “The Oboe Player (Portrait of Dr. Benjamin Sharp)”. Around 1905 Sharp and his family moved to Massachusetts – where they kept residences in Brookline and Nantucket. He continued his research at the Boston Society of Natural History, and was vice president for the Nantucket Historical Association. From 1910-1913 he was elected Representative for Nantucket to House of Representatives of Massachusetts, and served as chairman on the Committee on Fisheries. In January 1915 Sharp set out on a small yacht with his son Karl and friends for a zoological collecting trip to Florida by way of the Dismal Swamp and the Sea Islands. On the way they encountered heavy storm conditions which resulted in Sharp contracting Pneumonia leading to his death on January 23, 1915 in Moorehead, NC at the age of 56. The Benjamin Sharp Jr. Papers is a mix of personal and professional material. Though not extensive, the collection touches on many of Dr. Sharp’s activities – including his research, lectures, and expeditions. Most of the correspondence is to family and friends, however in it he does comment on his professional activities. A few photocopies of letters are present, and there is no information relating to the originals. As an amateur photographer, Dr. Sharp documented many of the places he worked and traveled to – as such the photograph albums are a mix of personal images, zoological specimens, and expedition sites. Some of the images are identified, and all are number in the albums – however no index to the images is present in the collection. 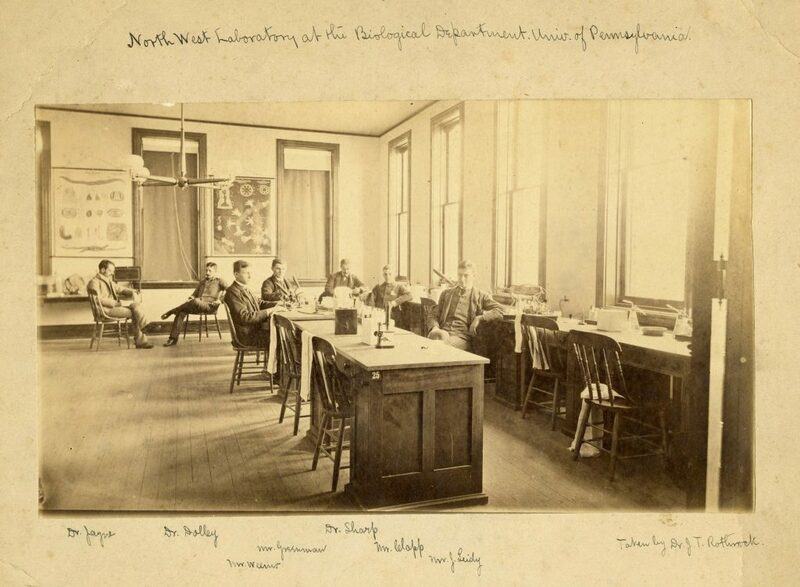 When originally processed, one item “Decennial Reunion, Class of 1880, University of Pennsylvania Medical Department,” a history of the members of the class of 1880 was removed to Class Histories, UPM7911. The Academy of Natural Sciences of Philadelphia holds a number of collections related to Benjamin Sharp’s career. These include Sharp’s records in the Peary’s Greenland Expedition Papers (Coll. 145), a collection of glass lantern slides of Dr. Sharp (Coll. 349), ANSP Education Papers (Coll. 289), the Michael Valentine Ball Treatise (Coll. 112), John William Harshberger Collection (Coll. 293), and the ANS. Portraits Collection (Coll. 287). The Nantucket Historical Association holds a collection of Sharp Family Papers. The online finding aid is at: http://www.nha.org/library/ms/ms270.html. Researchers interested in Sharp’s Greenland expedition might want to consult: Keely, Robert N. and Davis, Gwilym G. In Arctic Seas: A Narrative of the Voyage of the KITE with the Peary Expedition to North Greenland. Philadelphia, E. Stern & Co., 1892 (at Van Pelt Library 919.8 K24). Academy of Natural Science (Philadelphia, Pa.). University of Pennsylvania. Dept. of Biology. Report — The Mariner’s Yarn, n.d.
Report — The Human Eye, n.d. Some Shouts … [nautical], n.d.
Robinson Crusoe and Alexander Selkirk, n.d.
c. 1884-1885 – photos of homes, Penn Biology Building and campus, Nantucket, etc. Images of expeditions with family and specimens – possibly Carribbee Islands, n.d.